The number of card purchases continued to grow faster than spending. 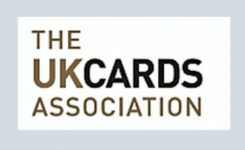 The number of card payments grew by 12 per cent in the year to May 2016, the highest rate since June 2008, while online purchases increased by 19 per cent and contactless payments by 148 per cent. Retail sector spending increased by £36 million from April, to £26.2 billion in May 2017, while food and drink sector spending rose by £34 million to £10 billion. There was strong growth in spending at merchants providing pest control services, followed by chemists. Travel-related merchants, such as foreign currency exchange and airport terminals, also recorded strong growth. The debit and credit card share of total retail sales was 77 per cent in May.